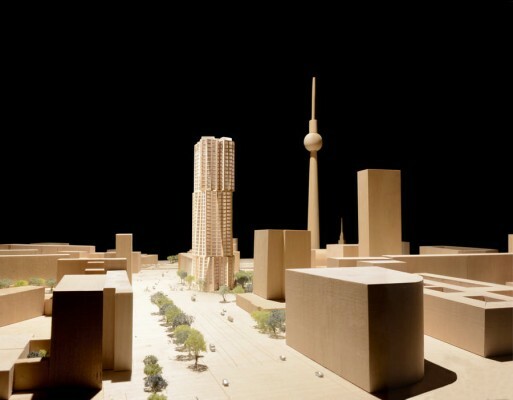 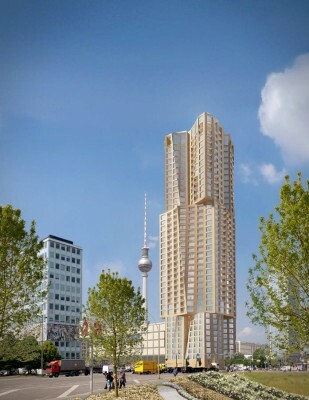 A design by Frank Gehry will be used for a building on Berlin’s Alexanderplatz that will be Germany’s tallest apartment tower, reports Bloomberg. 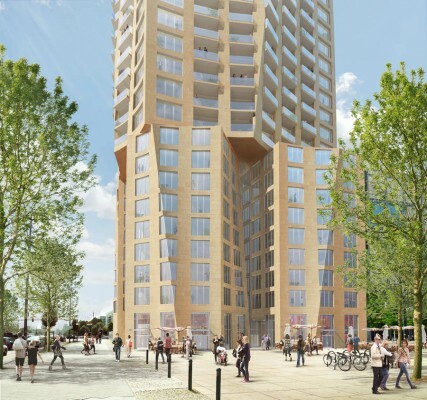 The 39-floor property will have a height of 150 m (490 ft) and contain about 300 apartments, a hotel and a spa, Hines said today in a statement. 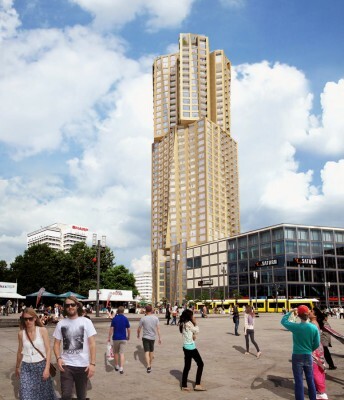 The Houston-based developer plans to spend as much as 250 million euros ($340 million) on the project, which is due to start in 2015.